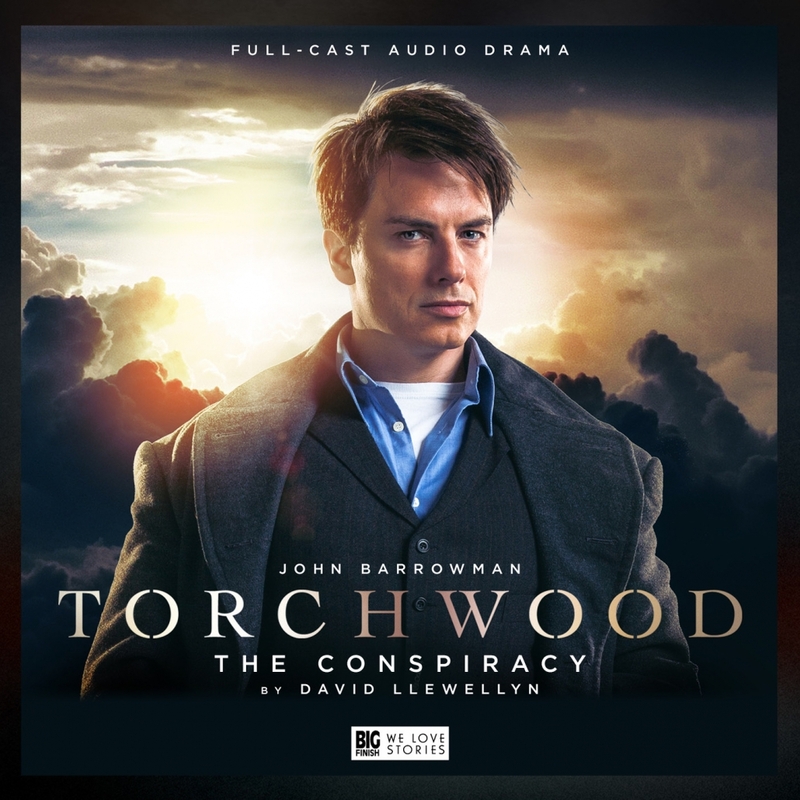 Conspiracy by David Llewellyn from 2015 is the first release in the main Torchwood range. This release features only a single member of the Torchwood cast and is a hybrid of narration and full acted drama. The story is about Jack meeting with ex-news reporter turned conspiracy theorist, George Wilson (John Sessions). Though there are supporting characters in the form of George’s daughter Kate (Sarah Ovens) and another conspiracy theorist Sam Hallett (Dan Bottomley), the story mostly plays out its major scenes between George and Jack. The story is very much in the Torchwood vein and follows Jack as he gets increasingly desperate investigating an organisation called the Committee. Having recently heard ‘The Torchwood Archives’ it was nice to actually see the Committee in action and this serves as a far better introduction. While ‘The Torchwood Archive’ was interesting its story was not as appealing as this release mostly due to the splintered nature of the story. I enjoyed hearing Captain Jack back in action and released the slightly understated way he went through the story. There was more of a sense of taking it seriously than some of the episodes we have seen him on television and I was appreciative of this as it lent the events of the plot a little more weight. Outside of George the characters of Kate and Sam are a little under developed and the story moves a little slowly to start wioth. It is not until the last third or so that it kicks more into high gear and we get a few revelations including that the Committee are all made up, which in the story is a nice touch, except for having listened to the origins of the Committee in ‘The Torchwood Archives’. I will not spoil the final third where there is a nice twist to the story, even if I had figured it out. I am not sure if I was meant to be slightly ahead of Jack here or not, but the story does provide enough clues for those paying attention to work it all out. In summary, while this is a good release that sets up more to come that very fact leaves this one a little lacking, like having reads the first chapter in a book and then no more. There is also something missing, which could be the rest of the cast, however we have releases like series 5 and ‘Believe’ for that. Big Finish appears to have come a long way with their Torchwood releases and it is nice to see where they started. I am interested to know more and this story is a good jumping on point if you have a passing understanding of the show.